Every once in awhile a really awful site design comes along and makes you laugh, cry, or want to punch your monitor. You find these sites quite often when you work at a web developer. We share them amongst ourselves and share a laugh. 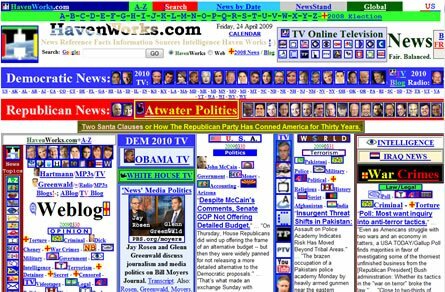 Here’s a list of the top 5 worst website designs we’ve seen, in order from bad to worst. We found this site a couple of months ago. Nancy has since redesigned her site (it looked really terrible before), but there are still some, ahem, issues. The “Websites” link on the homepage is broken, and her “Worksheet” is an unformatted text file listing her web design projects. I stumbled upon this gem the other day. This guy bought like 150 domain names and set up a common header on each site. So when you navigate around, instead of staying on the same page, you are taken to a different one of his websites. 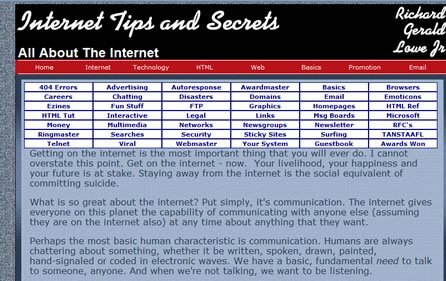 One quote from the page: “Staying away from the internet is the social equivalent of committing suicide.” Read on if you dare. These next three sites will damage your senses. Beware. 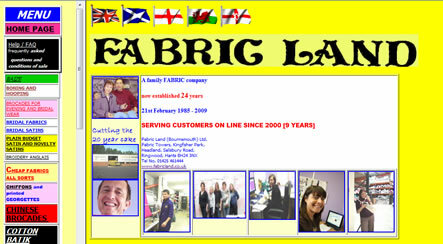 This one is a fabric store in the UK that uses every conceivable color available in an attempt to destroy your eyes. 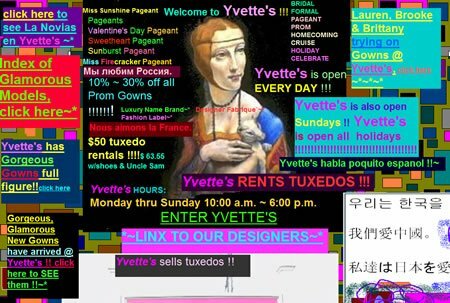 Yvette’s assaults your eyes with a million colors, hurts your brain with at least 3 different languages, and blasts bagpipe music (with no mute button!) through your speakers to kill your ears. Havenworks is completely incredible. Believed by some to be the worst design in the history of the web, they proudly display this honor at the bottom of their site. Do you know any other terrible site designs? List ’em below.